The Apache Software Foundation officially released the Apache 2.4 today as the first major update to this leading open-source web-server in more than a half-decade. Apache 2.4 is slated to deliver superior performance to its 2.2 predecessor and better compete with the growingly-popular NGINX web-server. 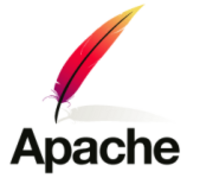 It is the first major release of Apache in six years, coincides with the software's 17th anniversary. Besides much faster performance, among the many enhancements to the Apache 2.4 HTTP Server is better a-synchronous support in its core, run-time loadable MPMs, reduced memory usage compared to Apache 2.2.x, several new modules, enhancements to existing modules, and much more. "This release delivers a host of evolutionary enhancements throughout the server that our users, administrators, and developers will welcome," Apache server vice president Eric Covener wrote in a statement. "We've added many new modules in this release, as well as broadened the capability and flexibility of existing features". For those web administrators out there, details on some of the new Apache 2.4 features are available from the Apache documentation. The brief official announcement is available here.